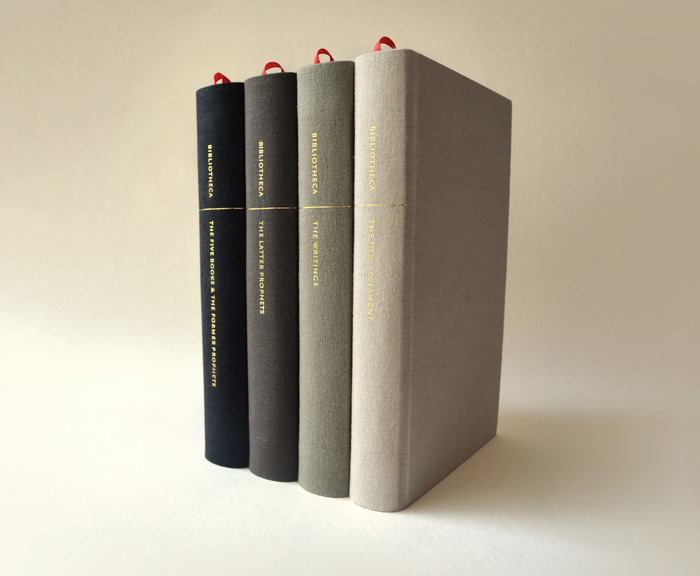 The Biblical Literature designed & crafted for reading, separated into four elegant volumes, and free of all numbers, notes, etc. 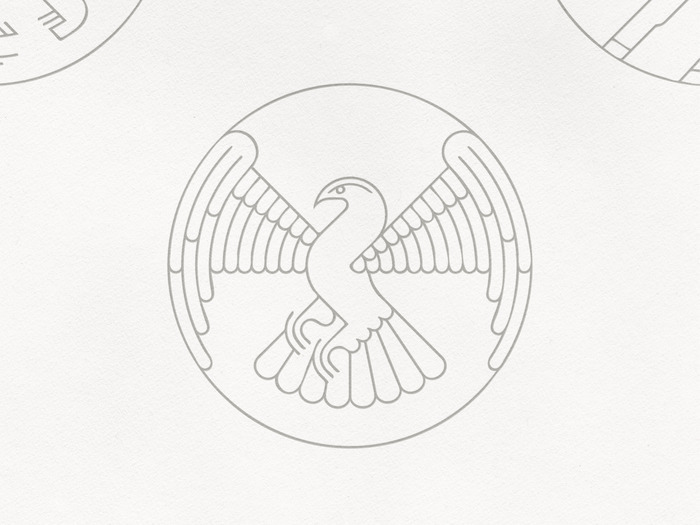 A Kickstarter project by book designer Adam Lewis Greene. Original typeface, designed and “set apart” exclusively for Bibliotheca. 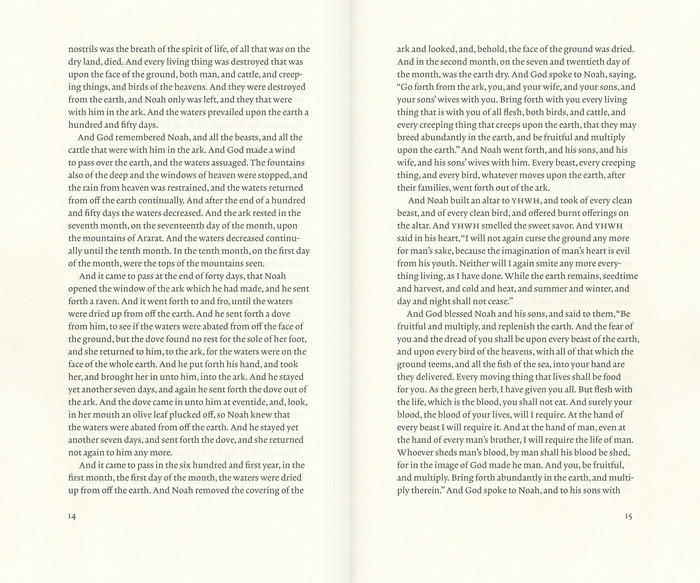 Page proportion and text block based on the dimensions of the Ark of the Covenant as specified in Exodus.